Biscoff spread is a peanut butter-like spread made of sweet and spicy speculaas cookies. It has a buttery, brown sugar flavor with a hint of gingersnap to it. The spread is growing in popularity and is more and more widely available (it’s sold as Speculoos Cookie Butter at Trader Joe’s). It’s great to spread on graham crackers, put on top of toast, drizzle over hot waffles or simply eat with a spoon. 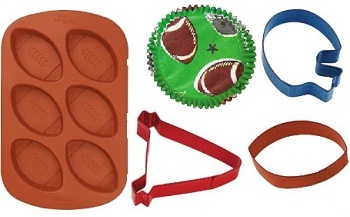 You can also bake with it, using it in recipes where Nutella or peanut butter are featured to add a different flavor. The recipe for these Biscoff Spread Cookies is similar to my recipe for peanut butter cookies, although I used the brown sugar spread instead of a nut-based one. The cookies have a tender and slightly cakey texture to them, and the brown sugar flavor of the spread comes through well, though they’re not strongly flavored cookies. I rolled mine in sugar before baking to add a little extra sweetness and lend some texture to the exterior of these treats, too. That tender, cakey texture comes from the fact that this is a cookie-based spread, rather than a nut-based one. The speculaas cookies that make up the spread (even though there is a fair amount of fat in the spread) dry out these cookies slightly in a way that Nutella or peanut butter would not. This isn’t necessarily a bad thing, it just makes the cookies more unique. These cookies are excellent with coffee and tea, and they keep very well when stored in an airtight container for a few days. Don’t skip the sugar coating when you’re shaping your cookies or the finished product will be a little bit too plain. If you want to dress them up even more, they make great ice cream sandwiches with vanilla or butter pecan ice cream. In a large bowl, cream together butter and sugars until light and fluffy. Beat in Biscoff spread, egg and vanilla until smooth. With the mixer on low, gradually incorporate the flour mixture until the cookie dough comes together and no streaks of dry ingredients remain. Place sugar for rolling in a small, shallow bowl. Shape cookie dough into 1-inch balls and roll in sugar. Transfer to prepared baking sheet. Bake for 10-13 minutes, until cookies are very lightly browned around the edges. Allow to cool for 1-2 minutes on the baking sheet, then transfer to a wire rack to cool completely. 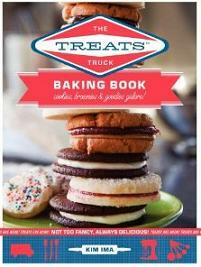 Next PostNext The Treats Truck Baking Book: Cookies, Brownies & Goodies Galore! I didn’t rush out to TJs to buy their cookie butter and when I got around to it just after Christmas it was gone. In my local store just this afternoon they told me it’s another one of their “seasonal” things (like confectioners’ sugar!) and they don’t know if or when they’ll get it back. Rainey – That’s too bad! They seem to carry the Biscoff spread year-round at Cost Plus World Market, so that’s a pretty reliable place to pick up a jar. I love biscoff spread! I’ve made biscoff cookies before and added white chocolate chips, superrr delicious! Never heard of it before and it will take years before it lands in Australia. The cookies look brilliant! I’m so bummed this isn’t made gluten-free! Would love to make cookies with it. These look just perfect! Thanks for the recipe. 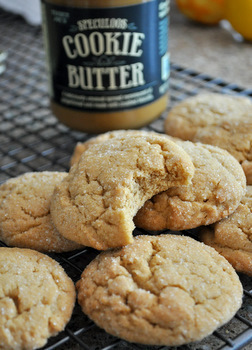 I’d be ok with a cakeyer cookie if it had that fabulous cookie butter flavor! These cookies are delicious! Turned out perfect. My local WalMart sells Biscoff, so I made a special trip there to get it. Totally worth it. These will become my new go-to cookies! I used raw sugar for the coating which gave it’s little extra crunch. These are INCREDIBLE! So easy and so good – I can’t stop eating them. Thanks for the great recipe! I’d been making Biscoff oatmeal cookies, but these are a nice change, they’re nice and puffy and soft and a bit cakier. But still dense and soft and chewy – perfect. these are delicious. Just came out of the oven. I’m taking these over to my kind neighbors who shoveled me out this morning and I’m sure they will love them as much as I do. Thanks for sharing.